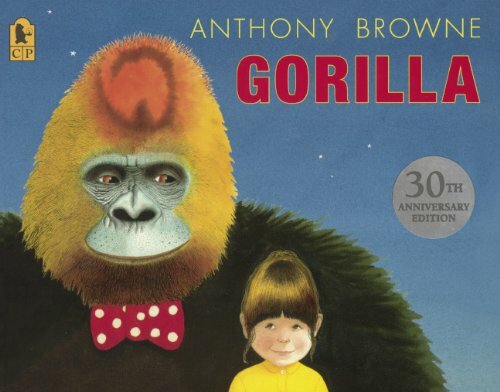 9780763677619 | Candlewick Pr, November 10, 2015, cover price $16.99 | About this edition: Anthony Browne offers a glimpse at ten classic tales with the help of a library-loving chimp. 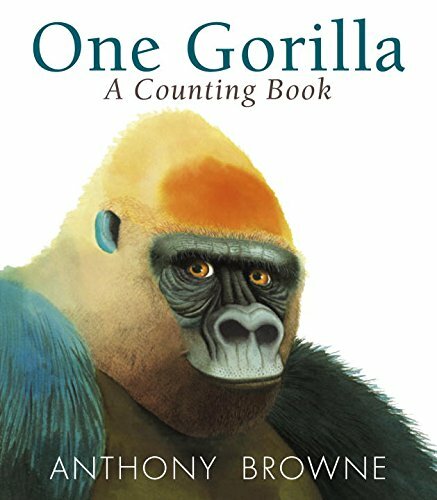 9780763679156 | Board book edition (Candlewick Pr, September 8, 2015), cover price $7.99 | About this edition: Primo primate artist Anthony Browne is at the top of his form with a simple — and simply fascinating — array of creatures for kids to count. 9781250040343 | Square Fish, April 1, 1993, cover price $7.99 | About this edition: Here is a list of the things I love. 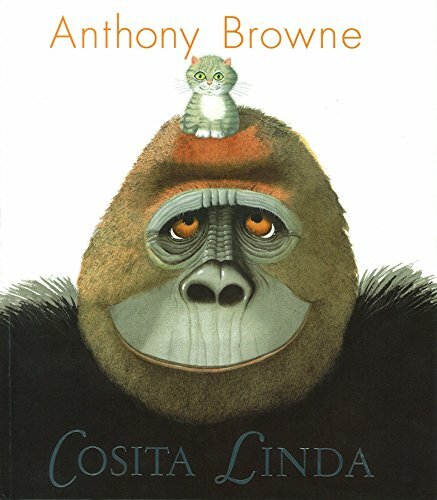 9780763663520 | Candlewick Pr, February 12, 2013, cover price $17.99 | About this edition: Primo primate artist Anthony Browne is at the top of his form with a simple — and simply fascinating — array of creatures for kids to count. 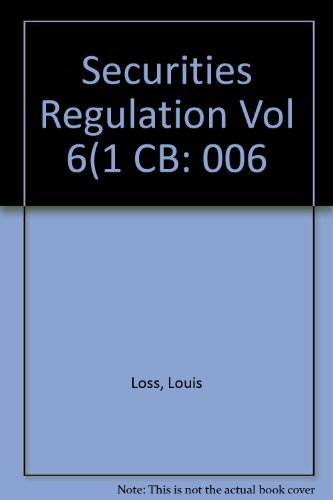 9780316533607, titled "Securities Regulation" | 3 edition (Little Brown & Co Law & Business, November 1, 1990), cover price $147.50 | also contains Securities Regulation | About this edition: Legalines gives you authoritative, detailed briefs of every major case in your casebook. 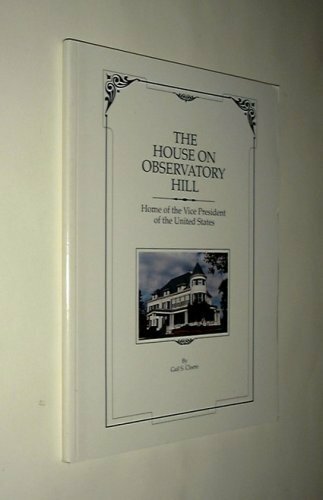 9780606351508 | Reprint edition (Turtleback Books, February 11, 2014), cover price $18.40 | About this edition: FOR USE IN SCHOOLS AND LIBRARIES ONLY. 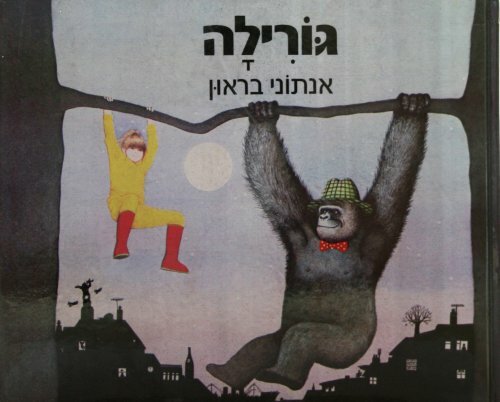 9780394822259 | Reprint edition (Alfred a Knopf Inc, January 1, 1989), cover price $6.99 | About this edition: Neglected by her busy father, a lonely young girl receives a toy gorilla for her birthday and together they take a miraculous trip to the zoo. 9780763618131 | Candlewick Pr, September 1, 2002, cover price $14.99 | About this edition: Neglected by her busy father, a lonely young girl receives a toy gorilla for her birthday and together they take a miraculous trip to the zoo. 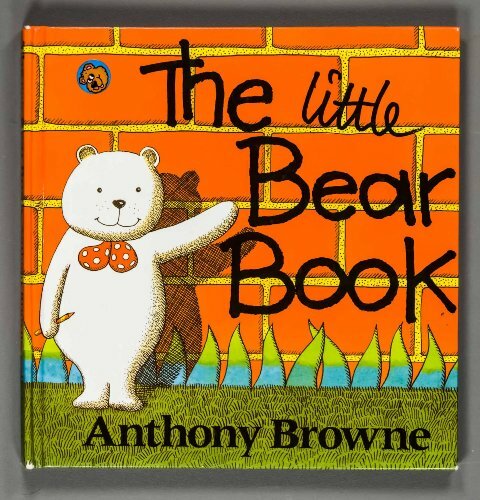 9780394975252 | Reissue edition (Random House Childrens Books, October 1, 1985), cover price $13.99 | About this edition: Neglected by her busy father, a lonely young girl receives a toy gorilla for her birthday and together they take a miraculous trip to the zoo. Â¨CÂ¢mo te sientes? / How Do You Feel? Product Description: Willy es un chimpancÃ© muy cambiante: a veces se siente muy feliz, y a veces triste; en ocasiones se enoja o se aburre, pero tambiÃ©n puede sentirse culpable. Â¡Las emociones pueden ser complicadas! 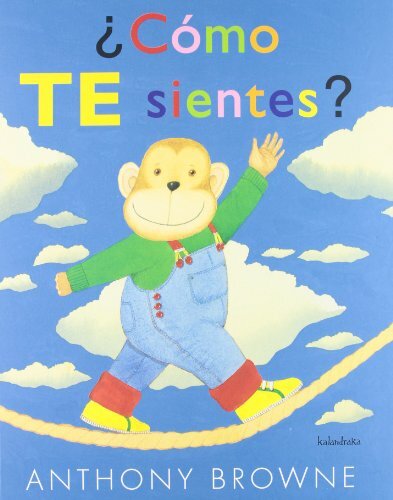 Willy te invita a explorarlas con Ã©l y tÃº, Â¿cÃ³mo te sientes? 9786071612670, titled "Â¨CÂ¢mo te sientes? / How Do You Feel?" 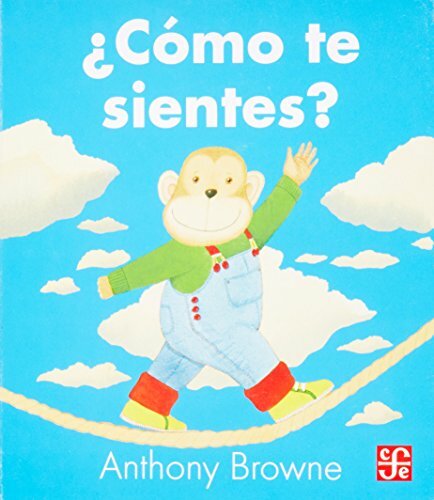 | Board book edition (Fondo De Cultura Economica USA, April 11, 2013), cover price $10.99 | About this edition: Willy es un chimpancÃ© muy cambiante: a veces se siente muy feliz, y a veces triste; en ocasiones se enoja o se aburre, pero tambiÃ©n puede sentirse culpable. Como te sientes? / How do you feel? 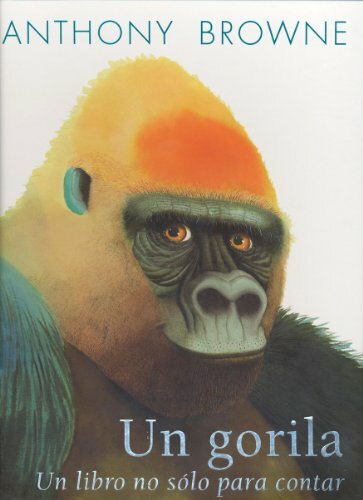 9788492608089 | Italian edition edition (Kalandraka Editora Sl, September 15, 2012), cover price $21.95 | About this edition: A young chimp describes a variety of emotions he experiences. 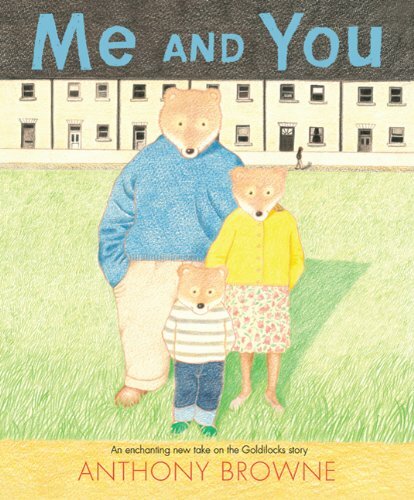 9780374349080 | Farrar Straus & Giroux, October 26, 2010, cover price $16.99 | About this edition: A small bear goes for a stroll in the park with his parents, leaving their bowls of porridge cooling on the kitchen table. Product Description: How many things you like Willy! He likes to paint and riding a tricycle; play and dress up; go to parties and be with his friends; bathing in the tub and hear stories... and more. 9786071605436 | Reprint edition (Fondo De Cultura Economica USA, February 19, 2010), cover price $10.99 | About this edition: How many things you like Willy! 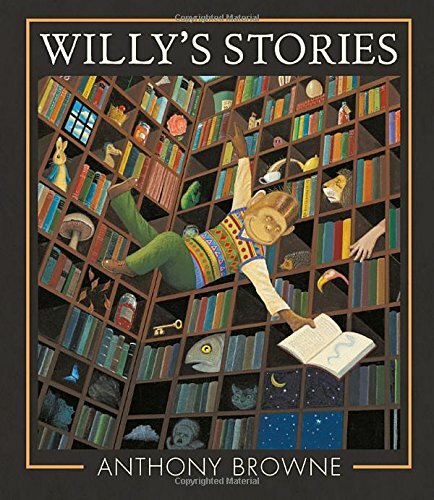 Product Description: Willy, the friendly chimpanzee created by Anthony Browne, like books of short stories, rhymes, dinosaurs, numbers, pirates... Yes, Willy really likes books. 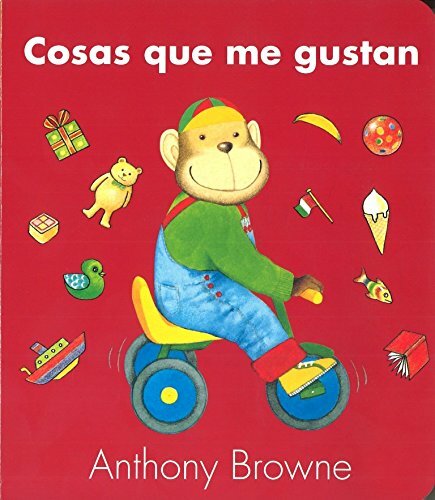 9786071605429 | Brdbk rep edition (Fondo De Cultura Economica USA, June 15, 2009), cover price $10.99 | About this edition: Willy, the friendly chimpanzee created by Anthony Browne, like books of short stories, rhymes, dinosaurs, numbers, pirates. 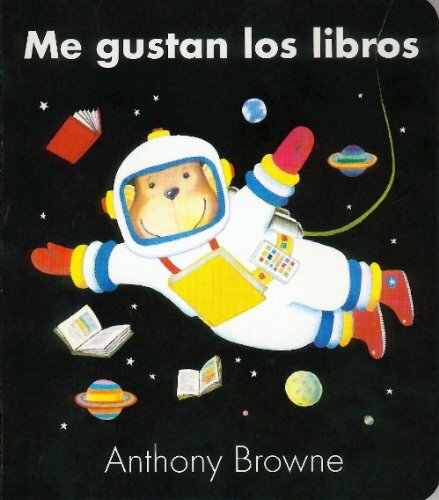 9789681666262 | Fondo De Cultura Economica USA, November 1, 1995, cover price $10.50 | About this edition: A young chimp declares his love for all kinds of books, from funny books and scary books to song books and strange books. A child describes the many wonderful things about 'my mom,' who can make anything grow, roar like a lion, and be as comfy as an armchair. 9780374350987 | Farrar Straus & Giroux, May 2, 2005, cover price $16.00 | About this edition: A child describes the many wonderful things about 'my mom,' who can make anything grow, roar like a lion, and be as comfy as an armchair. 9789681685782 | Fondo De Cultura Economica USA, September 18, 2008, cover price $16.95 | About this edition: En 1974, Koko (una gorila entrenada en la Universidad de Standford para usar el lenguaje de seÃ±as) le pidiÃ³ a los cientÃ­ficos que la observaban que le dieran a un gato. A child describes the many wonderful things about 'my dad,' who can jump over the moon, swim like a fish, and be as warm as toast. 9780789426819 | Dk Pub, March 1, 2001, cover price $20.01 | About this edition: A child describes the many wonderful things about 'my dad,' who can jump over the moon, swim like a fish, and be as warm as toast. 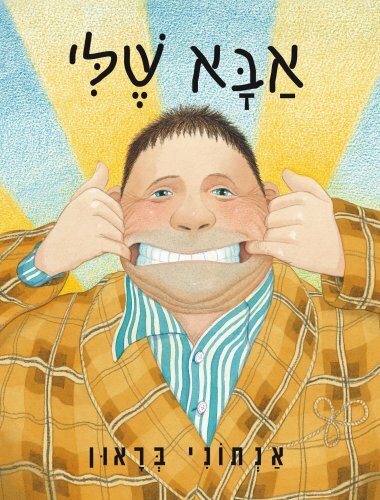 9780374351007 | Farrar Straus & Giroux, May 1, 2004, cover price $7.99 | About this edition: A child describes the many wonderful things about 'my dad,' who can jump over the moon, swim like a fish, and be as warm as toast. 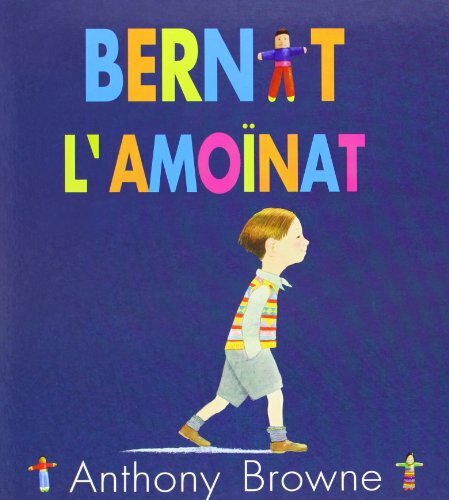 9780374351014 | Farrar Straus & Giroux, April 12, 2001, cover price $17.99 | About this edition: A child describes the many wonderful things about 'my dad,' who can jump over the moon, swim like a fish, and be as warm as toast. Product Description: FOR USE IN SCHOOLS AND LIBRARIES ONLY. 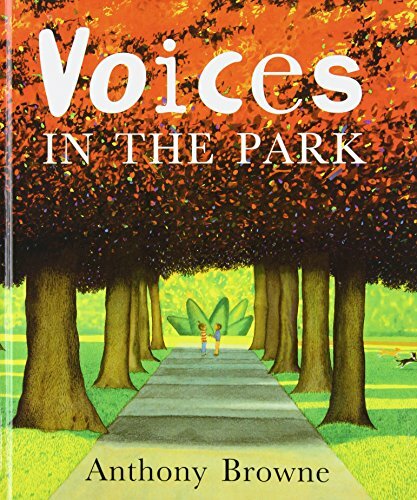 Explore the concepts of perspective and point of view when two children and their respective guardians each describe their experience at the park where the children and their dogs interact. 9780789481917 | Dk Pub, December 1, 2001, cover price $8.99 | About this edition: Lives briefly intertwine when two youngsters meet in the park. 9781435286733 | Reprint edition (Paw Prints, May 22, 2008), cover price $16.99 | About this edition: FOR USE IN SCHOOLS AND LIBRARIES ONLY. 9780613751414 | Turtleback Books, December 1, 2001, cover price $19.65 | About this edition: Lives briefly intertwine when two youngsters meet in the park. 9789681684945 | Fondo De Cultura Economica USA, December 31, 2007, cover price $10.95 | About this edition: DespuÃ©s de Mi papÃ¡ y Mi mamÃ¡, Anthony Browne dedica un Ã¡lbum a su hermano, quien, ademÃ¡s de ser un artista con la patineta y un futbolista privilegiado, puede escribir historias fantÃ¡sticas y cantar y bailar como el mÃ¡s alocado de los roqueros. 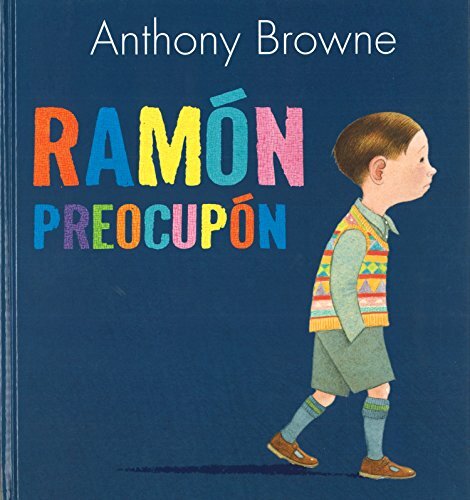 9789681684792 | Fondo De Cultura Economica USA, November 30, 2007, cover price $14.99 | About this edition: DespuÃ©s de Mi papÃ¡ y Mi mamÃ¡, Anthony Browne dedica un Ã¡lbum a su hermano, quien. A child describes the many cool and wonderful things about 'my brother,' who can fly, write amazing stories, make anything from anything, and stand up to bullies. 25,000 first printing. 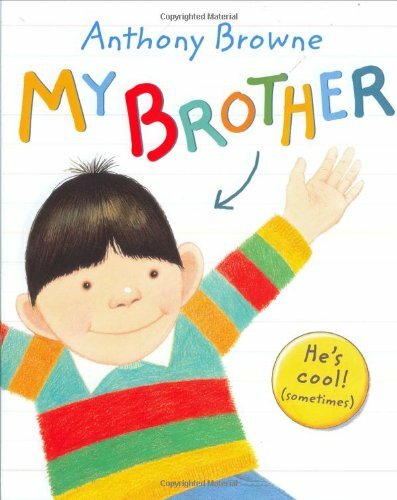 9780374351205 | Farrar Straus & Giroux, March 20, 2007, cover price $16.00 | About this edition: A child describes the many wonderful things about 'my brother,' who can fly, write amazing stories, and stand up to bullies. 9789681680800 | Fondo De Cultura Economica USA, December 31, 2006, cover price $11.95 | About this edition: RamÃ³n es un niÃ±o preocupÃ³n que se angustia a causa de los zapatos, las nubes, la lluvia, los pÃ¡jaros gigantes. 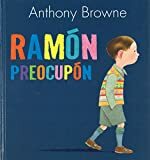 To help with his anxiety, Ramâon uses the worry dolls his grandmother recommends, but he finds that they do not quite solve his problem. 9789681680794 | Fondo De Cultura Economica USA, September 1, 2006, cover price $14.99 | About this edition: To help with his anxiety, Billy uses the worry dolls his grandmother recommends, but he finds that they do not quite solve his problem.